Players are saying that their pre-orders for a limited edition, Kingdom Hearts 3-themed PlayStation 4 Pro console are being cancelled by GameStop, and they’re not happy. 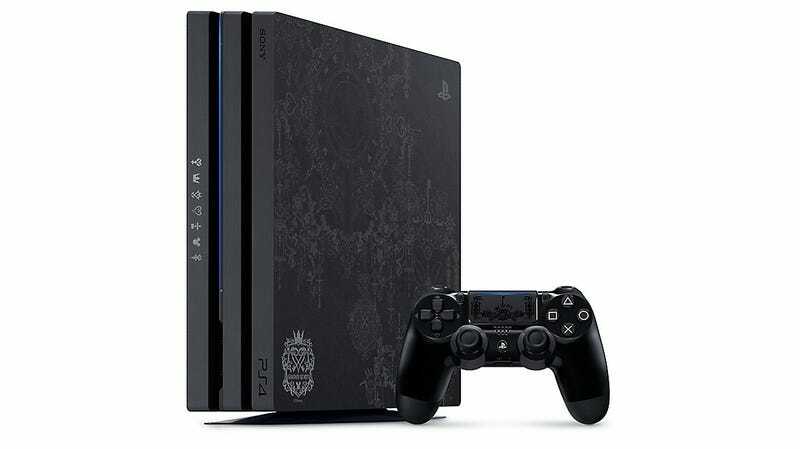 In honor of the long-awaited Kingdom Hearts 3, Sony is released a limited edition version of the PlayStation 4 Pro, emblazoned with characters from the series; the special PS4 Pro also comes with a copy of the game. Diehard fans were able to pre-order this console in early December from GameStop, the only retailer where you could buy it in the US and Canada. Now, with only a few more days until release, many fans are saying that their pre-orders are being canceled. Kotaku has reached out to GameStop regarding the cancelled pre-orders but did not receive a response in time for publication. This fan was excited for their copy of Kingdom Hearts 3, as well; they’d been playing Kingdom Hearts since 2002, initially just buying it for the Final Fantasy characters. After playing, they “fell in love” with the game. Having their pre-order cancelled has left them feeling frustrated. My Boyfriend and Best Friend Are Texting Each Other All the Time. Should I Be Worried?